If your iPad won't turn on, don't panic. Normally, when an iPad's screen is black, it is in sleep mode. It is waiting for you to press the Home button or the Sleep/Wake button to activate it. It is also possible that the iPad is completely powered down—either intentionally or due to a depleted battery. The most common reason for an iPad to power down is a dead battery. Most of the time, the iPad suspends processes automatically after a few minutes without any activity, but sometimes, an active app prevents this from happening, which drains the iPad's battery. 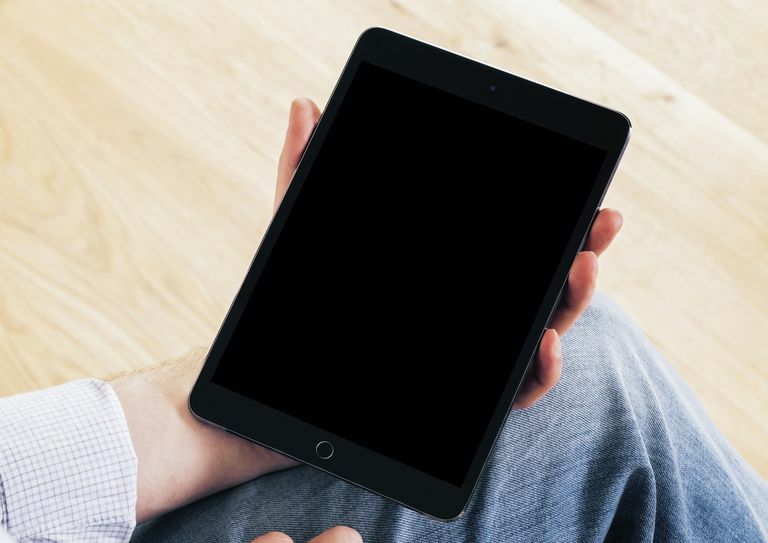 Even when the iPad is in sleep mode, it uses some battery power to check for new messages, so if you put your iPad down for the day with low battery life, it could drain overnight. Try to power the iPad on. Press and hold the Sleep/Wake button at the top of the iPad. If the iPad is just powered off, you should see the Apple logo appear after a couple of seconds. This means your iPad is starting up and should be good to go in a few more seconds. If the normal startup doesn't work, perform a force restart by pressing and holding both the Home button and the Sleep/Wake button at the top of the screen for at least 10 seconds until you see the Apple logo. If the iPad does not boot up after a few seconds, the battery is probably drained. In this case, connect the iPad to a wall outlet rather than a computer using the cable and charger that came with it. Some computers, especially older PCs, aren't powerful enough to charge the iPad. Wait an hour while the battery charges and then try to power the iPad back on by pressing and holding the Sleep/Wake button at the top of the device. Even if the iPad powers up, it may still be low on battery charge so leave it charging for as long as possible or until the battery is fully charged. If your iPad still doesn't turn on, there may be a hardware failure. The easiest solution is to locate the nearest Apple Store. Apple store employees can determine if there is a hardware issue. If there is no store nearby, you can contact Apple Support for help and instructions. There are plenty of things you can do to save battery life if your iPad battery is often depleted. Turn down the screen brightness in Settings > Display & Brightness. Turn off Push Notifications (per app) in Settings > Notifications. Turn off Location Services in Settings > Privacy. Turn off Bluetooth in Settings > Bluetooth or by tapping the Bluetooth icon in the control panel. Fetch Mail less often. Tap Settings > Accounts & Passwords > Fetch New Data and choose a less demanding fetch schedule for each email account. Checking less often will use less battery. Turn off Background App Refresh in Settings > General > Background App Refresh. Toggle the apps you don't want to refresh automatically when the iPad is idle to the off position. Go to Settings > Battery and examine the list of the apps that used the most battery power in the last day or week so you'll know which apps are battery hungry.